An inspired spiritual renewal about facing fears and taking action, Upstate’s impassioned “Who Knows” immerses listeners in a heart-to-heart with the self. We’ve all let fear and the unknown consume our thoughts and dictate our actions. It’s foolhardy, in this mortal life, to spend each waking minute on the edge – yet it’s just as detrimental to play everything safe. What if today was your last? How would that affect your decisions, and change your approach? Would you still live in the service of fear and doubt? Upstate’s new song “Who Knows” reflects on our decisions and the factors that drive them through sweet, somber alt-folk beauty. that’s in front of me? Am I petrified like a stone inside? Am I a stone inside? Atwood Magazine is proud to be premiering “Who Knows,” the second single off Upstate’s forthcoming sophomore album Healing (out February 8, 2019 via Royal Potato Family). Hailing from Beacon, New York, Upstate (formerly Upstate Rubdown) is the seven-piece folk-pop-soul collective of Mary Kenney, Melanie Glenn, Allison Olender, Harry D’Agostino, Christian Joao, Ryan Chappell, and Dean Mahoney. Formed in New York’s Hudson Valley, the band debuted in 2015 with the critically-acclaimed A Remedy, garnering significant local praise and touring with Phox, The Felice Brothers, and more. With a warm soul-tinged folk core, strong pop sensibilities, and a taste for gorgeous harmony, Upstate are all too easy to fall in love with. Blending folk, R&B, gospel, rock, and jazz influences into an alluring but often hard-to-categorize sonic identity, the band has garnered respectable comparisons to early Lake Street Dive and Phox – acts who, like Upstate, broke genre molds without missing a beat (literally). 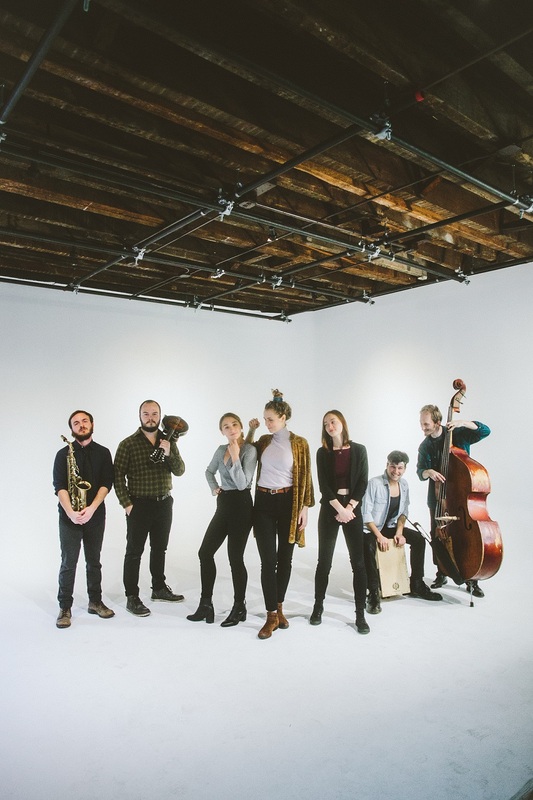 After spending the past few years on tour and honing their collective vision, Upstate made a strong return earlier this year with Healing’s lead single “Marietta,” an electrifyingly upbeat tune melding classic ‘60s pop elements with big band charm. A musical breakup letter, “Marietta” shares the colorful story of a relationship (with a touring musician, no less!) that is ultimately marred by distance and lack of substantive connection. The rollicking chorus, “I don’t need to know the weather down in Marietta,” is as easily memorable as it is accessible. A slower, heavy song about facing fears and taking action, “Who Knows” immerses listeners in a heart-to-heart with the self. Would we still hesitate to take chances and risks if we knew today would be our last? This is the ultimate question for lead vocalist Melanie Glenn as she contemplates her choices, confronting that natural human tendency to hold back and avoid conflict. Who knows if I’ll ever see the day? Behind her, like a chorus of angels, rises a wall of rich vocal harmonies that perfectly complement her conflicted emotions. Supported by mellow guitars, bass and drums, the song steadily builds in energy and enthusiasm until at last, Upstate reach their final exclamatory peak. As solemn and heavy as it is, “Who Knows” is ultimately a reclamation of self. An inspired spiritual renewal, it’s a commitment to seizing the day and living life to its very fullest. Upstate are coming down hard in 2019 with charming charisma and passion, filling the air with their sweet sound and the reminder that we are never down growing, learning, or becoming. 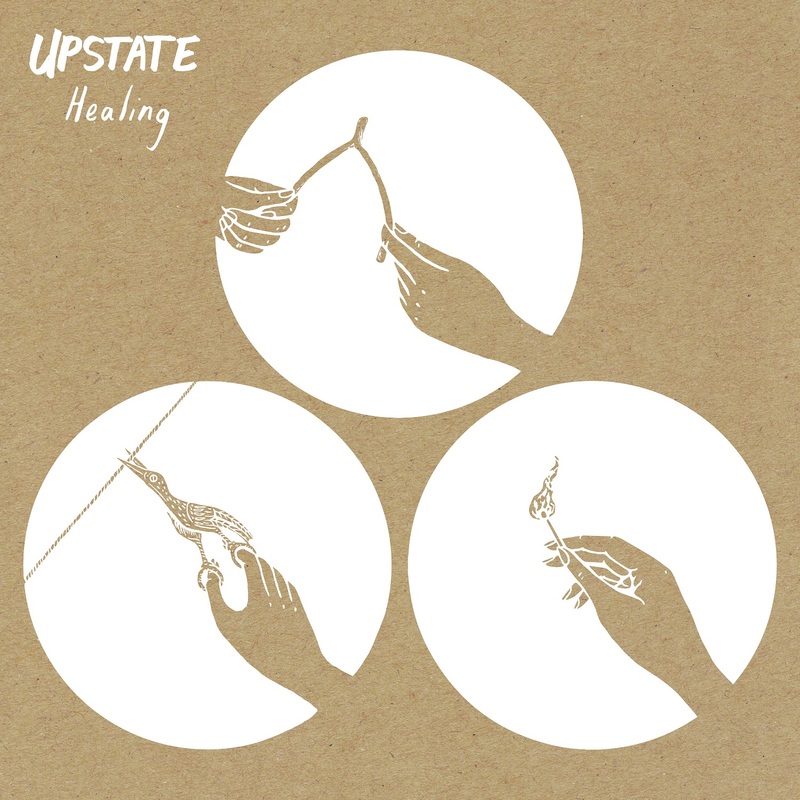 Upstate’s sophomore album Healing is out February 8, 2019. Stream “Who Knows” exclusively on Atwood Magazine!